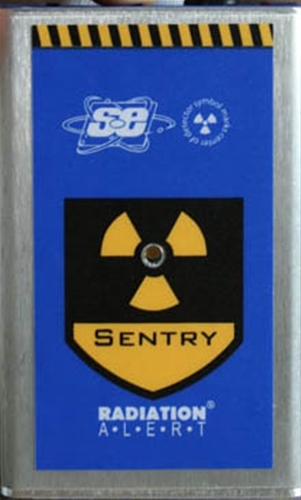 The Radiation Alert® Sentry EC is a Personal Alarming Dosimeter / Ratemeter designed to ensure the safety of personnel that work in occupations with potential x-ray or gamma exposure. The pocket sized unit has an energy compensated tube for a linear response to gamma and built in memory for recording data points for tracking accumulated exposure. The SentryCom Software option enables you to generate incident reconstruction for analysis. 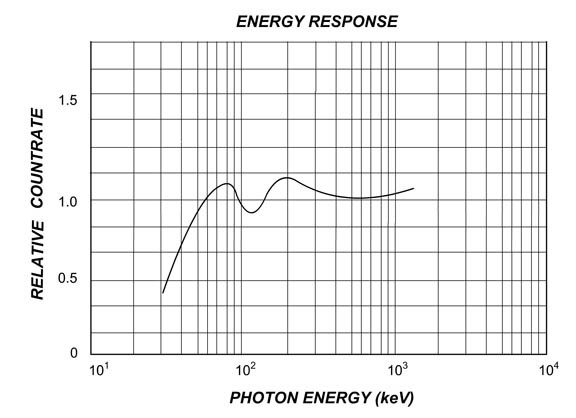 The software also permits you to easily set the vibrating and audio alert to your desired levels for dose (>1.0 mR/10 µSv) and dose rate (>1.0 mR/hr/10 µSv/hr). Use the audio switch to choose between audible clicks with each count recieved or a discreet silent mode. 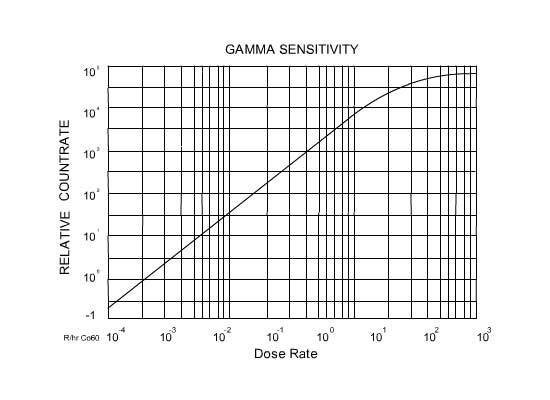 The Windows™ based SentryCom Software enables you to set the values for dose and dose rate alarms and warnings, set the Cal Factor, and the data logging frequency. It also allows the user to download the accumulated exposure data, which includes time and date stamp, exposure, and power cycle identifiers for analysis. The data is stored in a convenient delimited text file for use with a spreadsheet program. Audible Alarms Accumulated Dose & Dose Rate, 90db @ 1 ft.
Sievert Option: Dose 5000 μSv / Rate 500 μSv/hr Alarm and warning levels are user selectable with the Free SentryCom Software. Switch Functions Power, Vibrate & Audible Alert, Silent Vibrating Only Alert, and Audio Clicks On/Off. Power Requirements 9-Volt Alkaline Battery Approx. 1500 hrs at normal background.